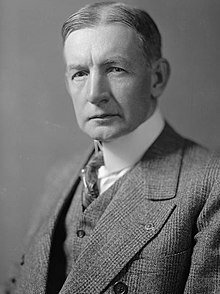 Charles Gates Dawes (August 27, 1865 – Aprile 23, 1951) wis an American banker, politeecian, an militar general wha wis the 30t Vice Preses o the Unitit States (1925–29). For his wirk on the Dawes Plan for Warld War I reparations, he wis a co-recipient o the Nobel Peace Prize in 1925. Dawes served in the First Warld War, wis the Comptroller o the Siller, the first director o the Bureau o the Budget, an, in later life, the Ambassador tae the Unitit Kinrick.